Custom Fabrics Starring Your Horse! Scattered is a simple collection of two all-over prints composed of elements from the Polo collection. 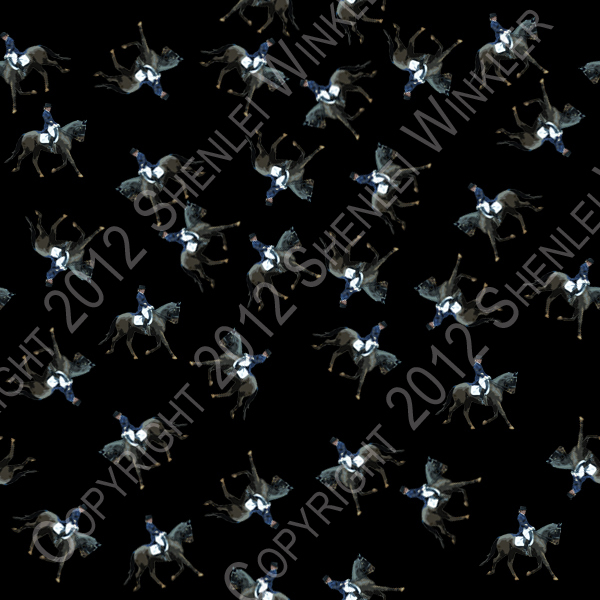 The first print is composed of standing thoroughbreds; the second uses the dressage rider at an extended trot. Both prints were developed specifically for use by our clients who have asked us for prints suitable for stocks and neckties. Because these are 4-way prints, patterns may easily be cut on grain, cross-grain or the bias with no appreciable difference in layout. This entry was posted in Design, Fabrics and tagged Faster, Horse, Thoroughbred. Bookmark the permalink.